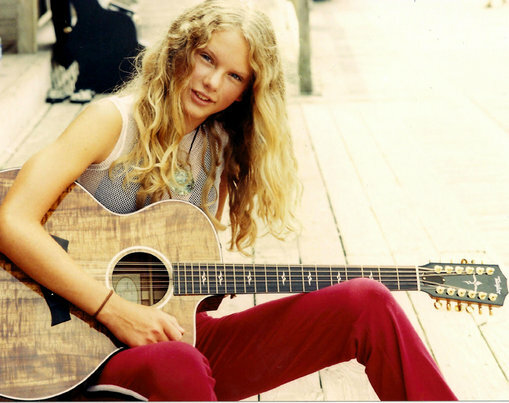 Taylor when she was 14 years old. . Wallpaper and background images in the Taylor nhanh, swift club. This Taylor nhanh, swift photo contains guitar acoustic and acoustic guitar. There might also be guitar, chơi guitar, guitarist, người chơi guitar, nghệ sĩ đàn ghita, đàn ghi ta, guitar, đàn guitar hawaii, guitar thép, guitar hawaii, and ghita hawaii. I found this ages ago and it is my icon on fanpop but still every time I see it it takes my breath away!!! I love her so much! Who cares about any haters! They be hatin' cuz they ain't her! She's awesome!